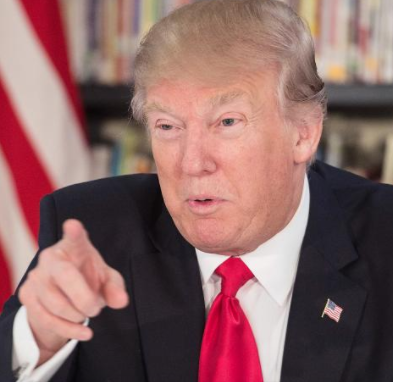 United States President, Donald Trump has been sued by a free-speech group, which claims his practice of blocking Twitter users violates the First Amendment. Donald Trump, who uses the @realDonaldTrump account in office, has been sued by the Knight First Amendment Institute at Columbia University in New York, along with seven individual Twitter users, reports said. The suit claimed that Trump’s blocking of users who were critical of him was a violation of the U.S.
“President Trump’s Twitter account, @realDonaldTrump, has become an important source of news and information about the government, and an important public forum for speech by, to, and about the President. “In an effort to suppress dissent in this forum, Defendants have excluded – ‘blocked’ – Twitter users who have criticized the President or his policies. This practice is unconstitutional, and this suit seeks to end it,” the lawsuit read. The lawsuit, which was filed in the federal court in the Southern District of New York, claimed it was a violation to suppress dissent. White House spokesman Sean Spicer noted in June that Trump’s tweets are official statements and the White House often sends out official statements everytime the President tweets. Trump, along with Spicer and Dan Scavino, the White House Director of Social mLMedia, are named as defendants in the lawsuit. The Knight First Amendment Institute at Columbia University is a New York City-based 501(c)(III) organisation , meaning a nonprofit organisation. The organization “works to defend and strengthen the freedoms of speech and the press in the digital age through strategic litigation, research, and public education,” according to the complaint. The seven individual plaintiffs in the suit are writer and political consultant Rebecca Buckwalter, Prof. Philip Cohen, political organiser Holly Figueroa, resident in general surgery Eugene Gu, police officer Brandon Neely, former professional cyclist Joseph Papp and comic/writer Nicholas Pappas. The federal suit is case number 1:17-cv-05205. The White House is yet to make any comment on the suit.